I started off with two coats of Color Club In De-Nile. I used a damp wedge sponge with Color Club In De-Nile, China Glaze Sunday Funday, and Sally Hansen Pacific Blue. I made sure to go a little bold with Pacific Blue on my ring finger, because, you know, you've gotta have an accent of some sort!! For a bit of a boost, I added one coat of Finger Paints Psychedelic Hue. I wasn't totally crazy about how it looked with such a strong shine, so I added one coat of OPI Matte Top Coat. I absolutely love the final look!! 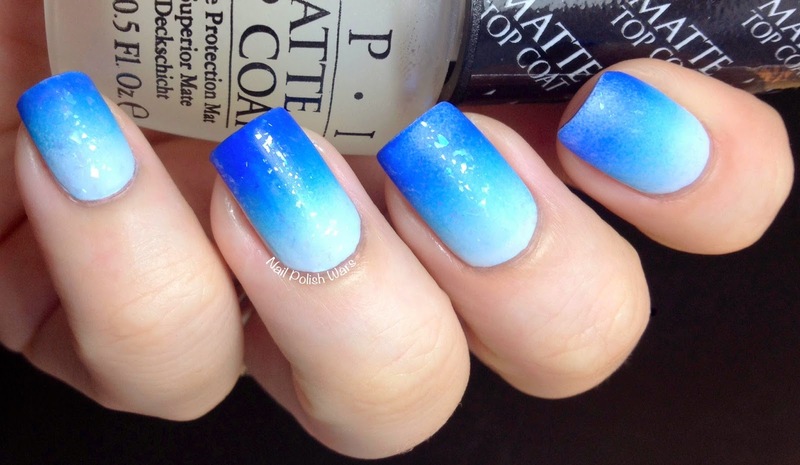 The matte top coat really made the flakes pop without over shadowing the ombré look. I had so much fun creating this mani! I really hope you enjoyed! Happy Painting! 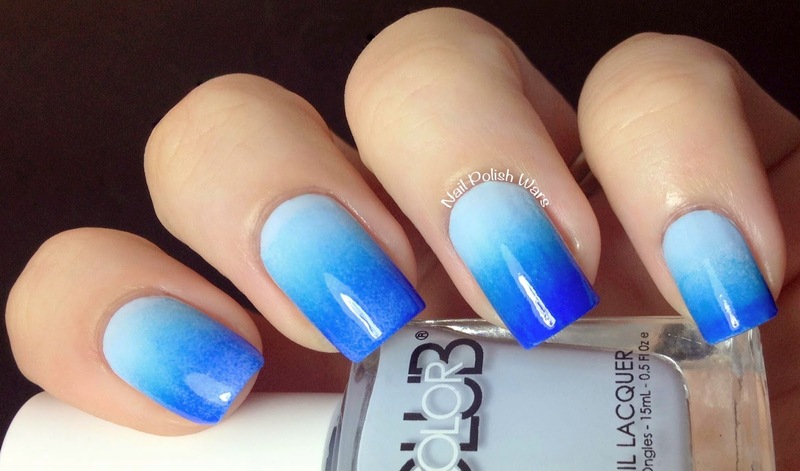 That is a pretty ombre gradient! That flakie glitter really added a nice finishing touch to it too. Your gradient turned out so well. And I love that you used that particular flakie. 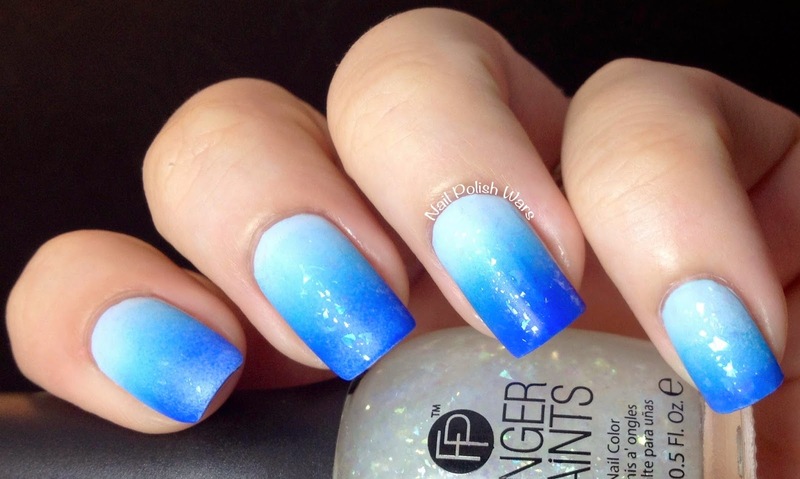 I know that whole set of Finger Paint flakies did not get the love that flakies usually do. I think people were expecting the colorful flakies that the previous FP flakie collection had. (And I'm not lying - it would be wonderful to see those come out again!) But I do think these flakies have their own subtle beauty to offer, as you have shown. I do really love that you made the mani matte. It really brings out the presence of the flakies over that pretty gradient. I love your mani every step of the way! 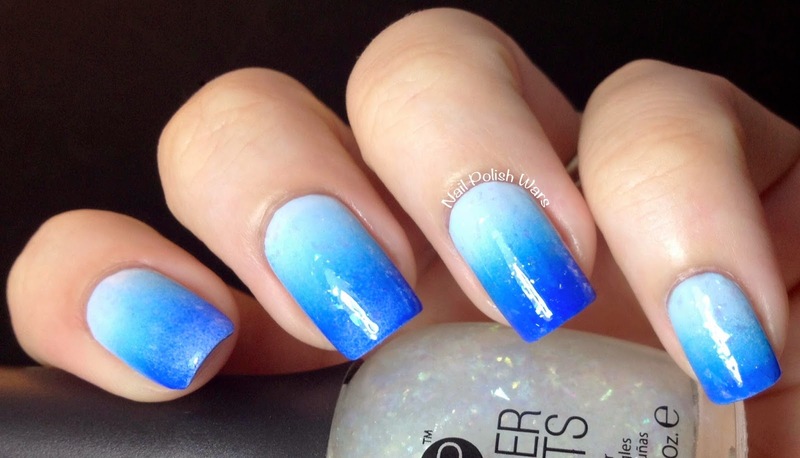 I prefer the flakes matte, actually, and they add the little something to the gradient. Very, very cool! This is testament to the fact that a simple gradient that is well executed is art by itself. Love it!